Prominent & Leading Manufacturer from Ahmedabad, we offer industrial watering vacuum pumps. 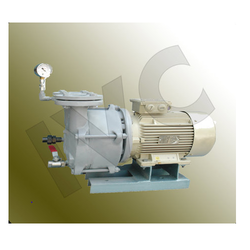 We are one of the notable entity involved in exporting and supplying Industrial Watering Vacuum Pumps. These pumps have viable use in industries for their excellent functionality, high sturdiness and superior strength. Our offered pumps are procured from well-known vendors who manufacture them in compliance with latest industrial norms. Furthermore, we make effective use of warehousing facility for their delivery in tamper-proof packaging. Looking for Industrial Watering Vacuum Pumps ?